On Sunday my wife and I treked out to the Lagomarsino petroglyph site in northern Nevada. We went with the aid of some friends that have a large 4WD vehicle because the site is incredibly inaccessible. It took over an hour, mostly in 4WD Low just to go the last five miles or so. The parking area, however, is right at the base of the 1/4 mile long site. The site contains 2,229 rock art panels and is one of eight rock art sites in Nevada that is listed on the National Register of Historic Places. The petroglyphs are pecked into fine-grained basalt cliff faces and an associate talus slope and boulder field. 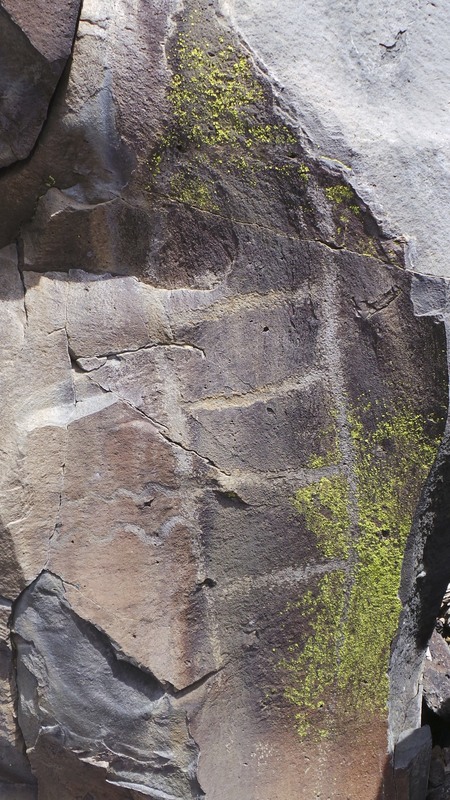 Many of the large glyphs are up on the basalt wall, however, there are smaller panels and single petroglyphs dispersed throughout the boulder field. The signage at the site says the petroglyphs date to at least 10,000 years but that seems like a generalized date based on the prehistoric occupation of the area. 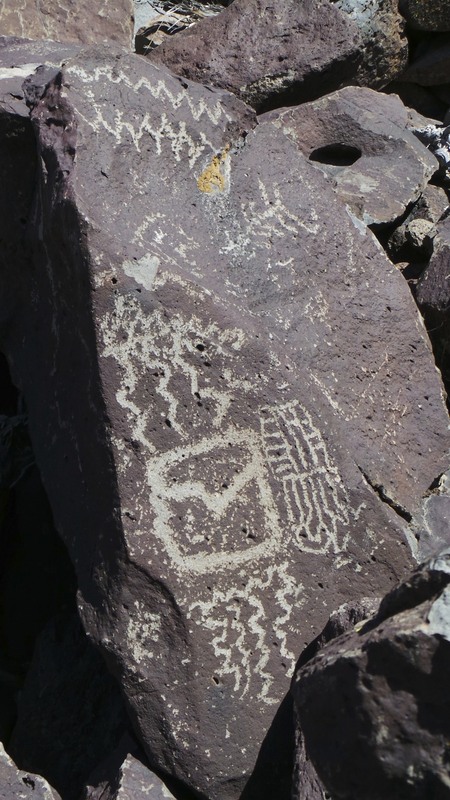 It seems likely that the petroglyphs fall in a date range that spans several millennia at least due to the various states of patina on some of them. There are petroglyphs that look like they could have been created yesterday and some that were clearly made many centuries ago. This site is very difficult to get to but I highly recommend the trip if you are able.